Product prices and availability are accurate as of 2019-04-17 14:27:17 EDT and are subject to change. Any price and availability information displayed on http://www.amazon.com/ at the time of purchase will apply to the purchase of this product. Includes 3 pieces 2"x 8 1/2" that's over 2 feet of GT5000! Enough for 2-4 handguns. 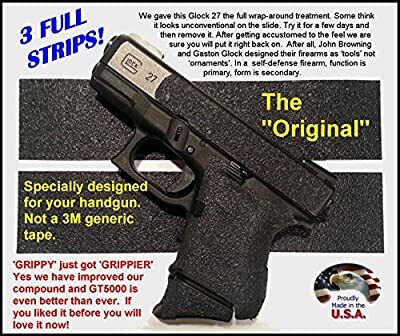 Now you can customize the look and feel of your handgun or rifle to get that positive grip that you have been looking for. 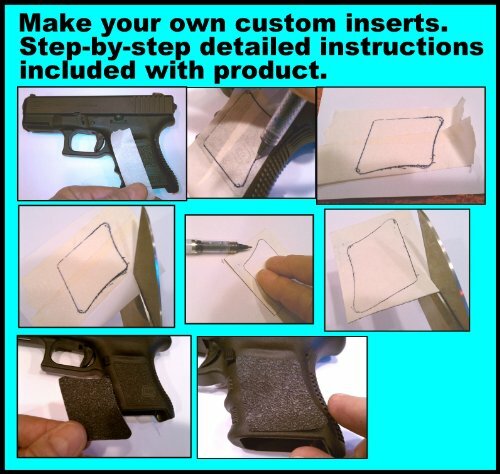 It is not a pre-cut template, put it exactly where you need it. It does not add significant thickness. 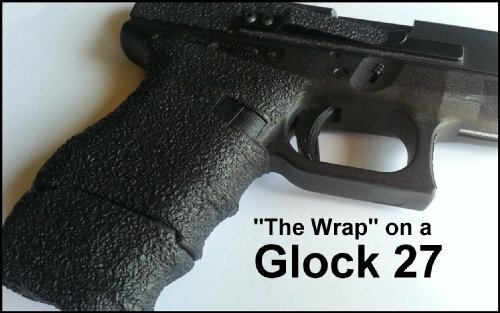 Glock Grip Tape is not rough and gritty like skateboard tape. It is a tough resilient synthetic rubber that provides a solid grip without feeling like sandpaper. Does not scuff clothing, holsters or car seats like those sandy tapes. Makes racking the slide on sub-compact Glocks a breeze even with a full magazine. You will notice an immediate improvement at the range with a more positive and firm grip on your handgun.